Deep Cleaning is a professional and experienced cleaning company, offering cleaning services for your home, office, upholsteries and more. We have been in the industry for many years now, which during this time we have built a good reputation amongst our clients – both new and old. Finding a reputable team who also offer the help you need can be difficult, however we offer such a wide range of services that you are sure to find what you're looking for, this is why we consider ourselves to be a 'one stop shop for all your cleaning needs'. Excellent skills, clever techniques, quality workmanship, knowledge and experience are just some of qualities that are team possess and which makes us different from many other firms. Due to our great team of staff and the high class services that we provide, we have worked with thousands of clients over the years, to give them a pristine office or home. Cleaning can not only be time consuming, especially when you only have a limited amount of time to complete your chores, but it isn't always easy if you have tough marks and stains to contend with. Have you curtains and carpets that have seen better days? Have you let out your property and need desperately to get it cleaned up before you rent it out to your new tenants? Are you battling family life, keeping a house and running your own business? Is your health causing you problems and doesn't allow you to be so active, which means that you now struggle to clean your house? If you fall in to any of these situations then firstly, you are not on your own and second of all, there is an easy answer to your dilemmas. We can provide you with fantastic domestic and commercial cleaning services, which are carried out by our trusted and professional members of staff. For those of you who have never hired a professional team of cleaners to work for you, then you may be wondering what is so special about the job we can do compared to you? Well, there are two answers to this question. The first is that we out a lot of effort and time in to our work because this is what we do on a daily basis and therefore have adequate knowledge on using the best products and techniques for the task. The second answer is that we are a team who offer both commercial and domestic cleans and can tackle even the toughest dirt, stains and marks, that you at home cannot always manage alone. To help make our cleaning more effective and hygienic, we use a variety of tools, products and machines made for commercial use, which all our staff are able to use and operate properly. To ensure that you keep a reputable reputation as a landlord, it is important to make sure that your property is in immaculate condition for when your new tenants arrive. Whether your former clients have left the house or apartment in good condition or not, we can take care of giving it a good and thorough clean before the new tenants arrive. Our domestic cleaning services are different from commercial cleaning and must be performed in different ways, using different products and appliances. Although your home may not suffer from getting so dirty as what offices and workspaces do, factors such as having pets and smoking in the home can leave nasty odours and stains. 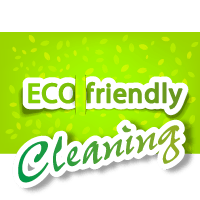 We can clean for you at any time that is most convenient for you and whenever you choose. A good spring clean is a great way to thoroughly clean your home or workspace every once in a while. Because it's not always convenient to have us interrupt you by coming in to your domestic or commercial residence to clean for you, we can give the place a thorough clean, where we make sure we cover every little area. Sometimes a very thorough, one off clean is all you need. Our cleaners will bring along with them a selection of the finest cleaning products and equipment available to ensure quality results. A one off clean means may take slightly longer to complete compared to our regular domestic cleans, but the outcome will be worth it. Although each of these items makes your home or office space more comfortable and attractive, it is amazing at how much dirt can become trapped in these kinds of fabrics. As each of these furnishings get regular use but are difficult to wash properly, dirt and bacteria can build up on them, which is both unhygienic and makes them appear dirty. But with our tough cleaning products and special tools, you can enjoy clean carpets, rugs, curtains, sofas and upholsteries and add years on to their lives. Some businesses and offices rarely have time to breath, as they are often always full with clients and staff. Having customers and employees walking in to the office with all kinds of weather and other things on their shoes, the floors and carpets tend to take a hard beating. Any object, appliance or area that is made for commercial use gets a lot of hardware, so why not treat your office or work place to regular cleaning to keep the area attractive and welcoming to both staff and clients. Most people's ovens receive daily use and although the meals that we like what comes out of our oven at dinner time, what is left in, on and around the oven is far from nice! From just one meal, it is amazing at how much grease, stains and food crumbs can build up in such a small space. But so many people suffer the problem of having a grimy, greasy oven through no fault of their own. Not knowing what products to use on your oven because you worry that you may damage the surface is a common reason for why people cannot properly clean their ovens. Having a great amount of experience in tackling all dirt, stains, grease marks on every type of work surface and oven around, we can sort this problem for you! Contact Deep Cleaning today by calling 020 3397 3284 and look forward to a cleaner way of living. Deep Cleaning Services claimed they were rug cleaning specialists and that they certainly were.